CarDekho has come up with new spy images of the 2020 Mahindra Thar. While the prototypes spotted earlier featured a dummy top hat, the latest spy media shows the next-gen model with production-spec body panels. The 2020 Mahindra Thar features a smaller canopy and new doors that have lower-placed handles for improved ergonomics. 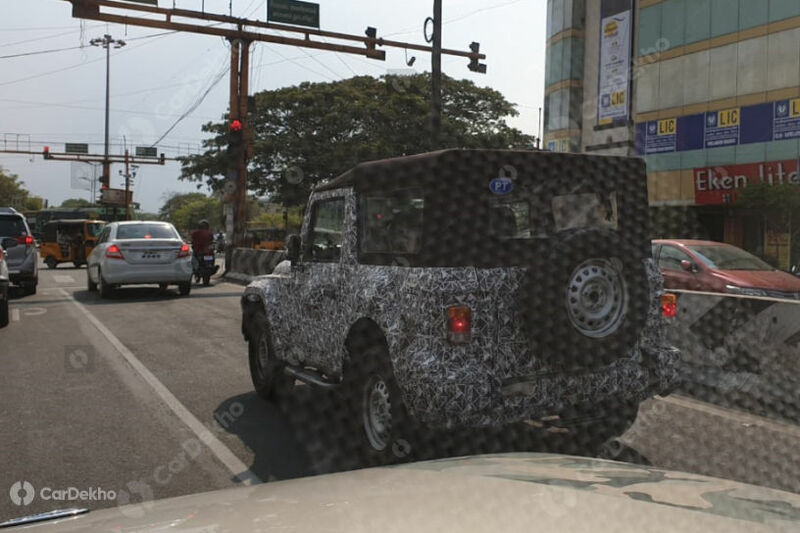 As we have reported before, the 2020 Mahindra Thar will be wider than the current version. While it will retain much of its traditional design overall, its front- and the rear-end should feature some comprehensive updates. On the sides, the redesigned model has new doors with handles positioned lower for improved ergonomics. Compared to the old Mahindra Thar, the all-new model features a smaller canopy, because of a marginally higher-set rear deck. The rear will continue to have a tailgate-mounted spare wheel and vertically-stacked tail lamps. The all-new model will reportedly offer improved drivability and comfort owing to the all-new chassis that it will share with the next-gen Scorpio. That said, the off-road capability could take a small hit as this platform allows 10% lesser wheel articulation than that of the current model. The 2020 Mahindra Thar will be considerably safer than the current version. It will comply with the BNVSAP’s crash tests, and the standard safety kit will include features like driver airbag, driver and co-driver seat belt reminder, rear parking sensors and speed alert system. The top-spec version will offer a front passenger airbag and a rear parking camera as well, whereas the comfort and convenience features will include a touchscreen infotainment system, semi-digital instrument cluster, steering-mounted controls and automatic climate control. The 2020 Mahindra Thar will share its all-new platform with the next-gen Mahindra Scorpio, which should result in improved passenger comfort and vehicle dynamics. The 2020 Mahindra Thar will be powered by a all-new 2.0-litre diesel engine that will likely come paired with a 6-speed manual transmission. This motor is expected to produce a 140 hp and a peak torque of 300 Nm. 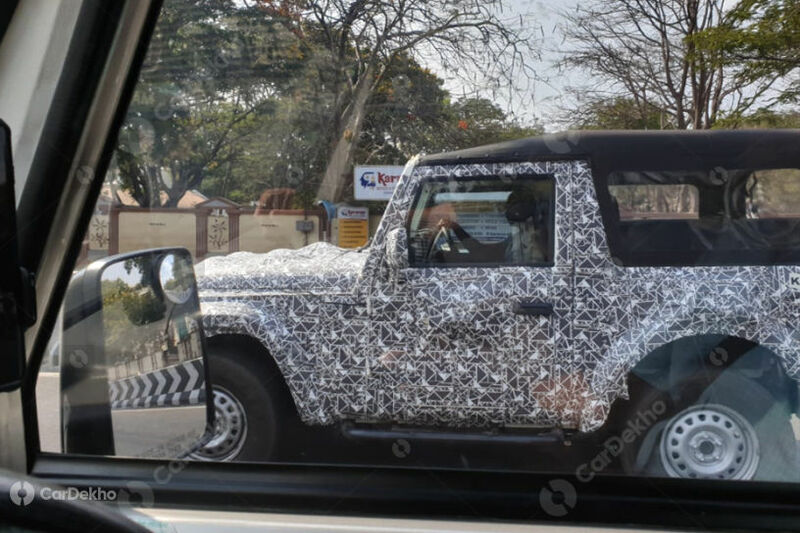 The launch of the 2020 Mahindra Thar should take place by mid-2020.